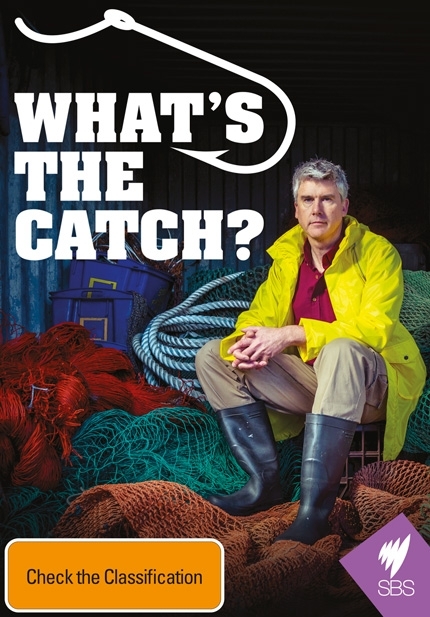 If you love seafood, as I do (or know people who love it), I would highly recommend watching “What’s the Catch” which aired on SBS last night. If you missed it you can catch up on it here. The three part series follows Matthew Evans (of Gourmet Farmer), former chef and restaurant critic, on his mission to raise awareness and start a conversation about the origin, practices and sustainability of the seafood that we eat. Last night’s episode focussed mostly on prawns and seafood labelling. In the spirit of starting a conversation about sustainable seafood, I’d like to talk about one of the most staggering statistics mentioned in last nights episode, which was that in Australia, we import 70% of our seafood! I think that figure is worth repeating here and it’s a figure that I would like to encourage my friends to pass on to their friends. 70% is massive! In the 2008/09 financial year that figure equated to 193 000 tonnes of imported seafood (Fisheries Research and Development Corporation). That’s 1 930 000 000 standard servings of fish in a country of just over 23 000 000 people – about 1.5 standard servings per week per person. The NSW Food Authority recommends eating 2-3 serves of fish per week. That means that half of our recommended maximum weekly fish consumption is coming from overseas (assuming that every single person in Australia eats seafood and sticks to the NSW recommendations, which they clearly don’t, but I think my point still stands). I see this as an issue, as it indicates that we’re not supporting our local fisheries. Some people tend to think of commercial fishers as indiscriminate pillagers of the sea. However, In Australia, most commercial fishing is highly targeted and must conform to strict environmental regulation. I can’t deny that there are bad apples (or should I say smelly prawns?) amongst the bunch, but overall, the fishers themselves know the importance of fishing sustainably. It is their business and livelihood after all. My experience of Australian fisheries is that they are generally supportive of sustainable practices. We need to get behind these fisheries which have strict environmental regulation and good practices rather than continuing to buy cheap imported seafood, of which we have absolutely no control over how it is produced (not to mention the carbon footprint involved in importing 193 000 tonnes of seafood). In my opinion (having worked in fisheries organisations in Tonga and Australia), Australia does have some of the best managed fisheries in the world, despite what some conservation groups might say. I’m not suggesting that Australia’s fisheries are perfect, I know we still have a long way to go, and I think that the consumer has a big part to play on that journey. Keeping our fisheries sustainable requires solid governance, research, extension and compliance (to name but a few components) which all costs money. 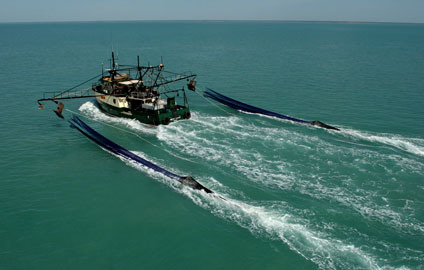 Australia’s Northern Prawn Fishery (NPF) is held up as somewhat of a gold standard in industry best practice (for the prawn trawling industry). Whilst acknowledging that there is still a large amount of bycatch produced in this fishery, the NPF really has done an outstanding job of improving their practices. They have been able to research and implement technologies to reduce bycatch (over 50% reduction in bycatch), develop management plans and conduct continual stock assessment modelling and ecological risk assessments because they are one of Australia’s largest and most profitable fisheries. Which brings me to my point; If we, as consumers want premium quality management of our fisheries we need to start supporting our fisheries and be willing to pay a premium for the seafood produced. Supporting our fisheries means that the individual fisheries industries will have more money to put toward sustainable management and implementing good environmental practice. That starts with knowing where our seafood comes from (seafood labelling has a big role to play here) and choosing the sustainable options. That’s not always easy to do, but I think that keeping our fisheries sustainable is worth hunting around for that option. To help you to make those choices, I’ll put a few links at the bottom of this post. I highly recommend watching the rest of “What’s the Catch” and please engage in the discussion on sustainable seafood! If you have any other resources that you’d like to suggest, please leave me a comment and I’ll add it to the list. Good Fish Bad Fish – A page dedicated to sustainable seafood with an excellent seafood guide including a seafood converter to convert less sustainable choices to more sustainable ones. Contains good summaries of ratings given by other organisations. The Australian Marine Conservation Society’s (AMCS) Sustainable Seafood Guide – A simple “traffic light” system for seafood. An easy to use and understand tool but keep in mind that the simplicity of this system may miss some of the subtleties of choosing sustainably and may conflict with other agencies. For example Banana Prawns are categorised as yellow or “eat less” whereas the Marine Stewardship Council (MSC) has certified the NPF, where the majority of banana prawns are caught, as sustainable. Sustainable Table’s Seafood page – Sustainable Table advocates sustainable food choices from all sources, not just seafood. But this is their seafood page with some excellent information. The Good Fish Project – An AMCS initiative. Good summary of fishing and harvesting methods here. Fish & Co. – Fully MSC certified Sydney restaurant, meaning that if you wanted to, you could trace the fish on your plate all the way back to the vessel it was caught from. Love.Fish – Though not MSC certified, they obviously care about where their fish comes from and support local fisheries. Sydney based. 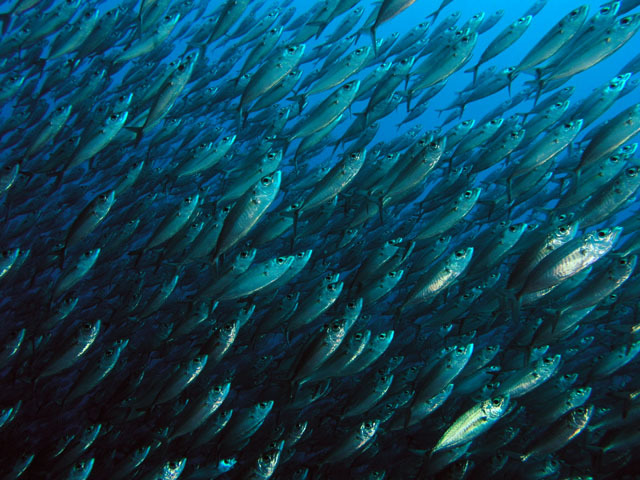 Marine Stewardship Council – The most rigorous international certification scheme available for seafood. See here for an interactive map of the certified fisheries. International Union for Conservation of Nature – For threatened species lists. Keep in mind that these lists are based on international data and may not accurately represent local populations. This works both ways; just because one species is sustainable in Australia doesn’t mean that it’s sustainable on a global scale. Australian Government Department of the Environment – Australia’s export fisheries which have been assessed against the Australian Government’s Guidelines for the Ecologically Sustainable Management of Fisheries. Fisheries Research and Development Corporation – A good resource for fisheries statistics and information on fisheries research. Australian Fisheries Management Authority – For information on the management of Australia’s Commonwealth managed fisheries. i.e. fisheries operating within 3 – 200 nm of the coastline. For state managed fisheries (within 0-3 nm of the coastline) see the individual state fishery pages. Australian Bureau of Agricultural and Resource Economics and Sciences Fishery Status Reports – Status reports on Commonwealth managed fisheries.